Several months ago, while reading the selection of the month for a book club, I came across the following description of how it felt to a child in the 1940s to drink a soda for the first time. I read the sentence several more times just to enjoy the visual effects. The only word that came to mind was, “Wow!” The words are fanciful, yet an accurate description of the sensation. I have to admit that this is one of the best description I’ve ever read. From Home to Holly Springs by Jan Karon: The fizz had entered his nasal passages and gone straight to his cerebrum, where it shivered and danced and burst like a Roman candle in his brain. Do the words pop out at you like they did for me? Are the pictures they paint in your mind vivid? Do they make you relive the sensation yourself? What kind of description do you have in your writing? Does it make the readers feel like they’re seeing/experiencing/sensing it with the characters or do they just give the facts? 1) Find a vivid description in your own writing and share it in a comment below. 2) Write a vivid description (either from scratch or rewriting one from your writing) and share it in a comment. SUZANNE HARTMANN is the author of PERIL: Fast Track Thriller #1, and Write This Way: Take Your Writing to a New Level, a blueprint for new authors to guide them through the process of writing and revising a novel. 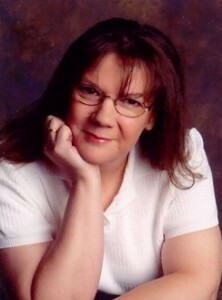 Suzanne is a homeschool mom and lives in the St. Louis area with her husband and three children. When not homeschooling or writing, she enjoys scrapbooking, reading, and Bible study. On the editorial side, she is a contributing editor with Port Yonder Press and operates the Write This Way Critique Service. A Weak Hook: Don’t Make This Common New Writer Mistake! “The pond, which was tucked away a few meters from the school, offered a serene sight. It was an abode to many beautifully coloured fishes. The lush green bushes that dotted the pond’s periphery boasted of their well-pruned edges. The overarching criss-crosses of sturdy trees around the pond stood tall like super heroes. The rather breezy morning today made the bushes sway in a mesmerizing dance swishing and swashing around the pond. The volcanic lava of bitterness roiled up his esophagus, burning like a bad case of heartburn, until it spewed out his twisted lips in a ranting diatribe against her. Forcing their way into her ears, the words retained their heat, like hydrochloric acid burning her heart and mind. Yet the power of the Spirit quickly neutralised them, soothing with the balm of unconditional love for her former boyfriend. This is a description of spring, which in my part of the world happened back in September! Clearly, today’s “what happens” is Spring in all its golden warmth. A week ago, floods and snow; today, glorious sunshine. The birds are thrilling to its touch: every bush and tree is alive with twitter and song, as if some kind of liquid energy has been uncorked and cannot be contained. My whole morning has been framed and infused and delighted by robin-song. Drawn out by his ceaseless invitation, I was rewarded by a flash of orange wings, as he changed “stage” from one tree to another. Spring has arrived; we are revived.